Who Framed Roger Rabbit (film) Roger Rabbit is a toon, an animated star at Maroon Cartoon Studio. After an opening cartoon, Somethin’s Cookin’, we discover that Roger is suspected of the murder of Marvin Acme, who owned Toontown and the company that makes all cartoon props, and who had been flirting with Roger’s wife, Jessica. Down-on-his-luck private detective Eddie Valiant is asked by Roger to find the real culprit. He reluctantly agrees and soon discovers that there is more to the mysterious Judge Doom than meets the eye. Chased by Doom’s weasel henchmen, Eddie visits Toontown, with its many well-known toon inhabitants, before discovering the identity of the murderer. Premiered at Radio City Music Hall on June 21, 1988; general release on June 22, 1988. Directed by Robert Zemeckis. A Touchstone film in association with Steven Spielberg. 103 min. Stars Bob Hoskins (Eddie Valiant), Christopher Lloyd (Judge Doom), Joanna Cassidy (Dolores), Stubby Kaye (Marvin Acme). Charles Fleischer provided the voice of Roger Rabbit. Based on the novel Who Censored Roger Rabbit?, by Gary K. Wolf. Original work on the film began many years before it was produced. The expected high costs for the necessary special effects made Disney executives move cautiously, and it was only when Steven Spielberg and Robert Zemeckis became interested in the project that the green light was given. They were excited by the prospect of creating a Toon community, with a variety of cartoon characters, culled from different studios, and presented together on screen for the first time. It was Spielberg who was able to help along the complicated negotiations necessary to bring the classic animated personalities together. 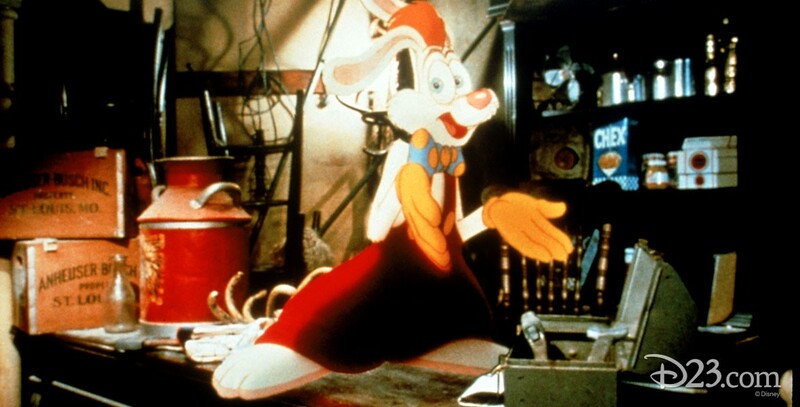 Zemeckis welcomed the chance to create a new cartoon character, Roger Rabbit. He joked that the character was a combination of “a Disney body, a Warner’s head, and a Tex Avery attitude.” It was filmed in Los Angeles, and at Elstree Studios in London. Richard Williams headed the large staff of animators at a new studio set up in London, with some additional animation done in Burbank. The special visual effects were created by Industrial Light & Magic. The film won four Academy Awards, the most for a Disney film since Mary Poppins. 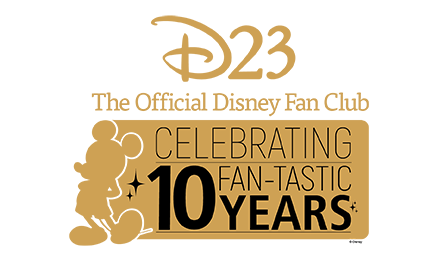 They were for Film Editing (Arthur Schmidt), Sound Effects Editing (Charles L. Campbell, Louis L. Edemann), Visual Effects (Ken Ralston, Richard Williams, Edward Jones, George Gibbs), and an award for Special Achievement in Animation Direction to Richard Williams. Released on video in 1989.